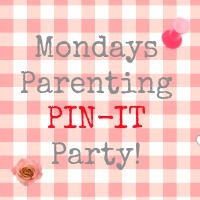 Welcome to this weeks Monday's Parenting Pin it Party. This week we're hosted by Romanian Mum. 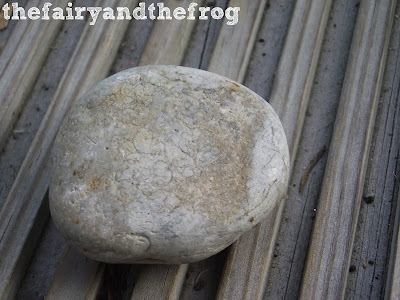 Don't forget to pop over and see which posts she has featured. 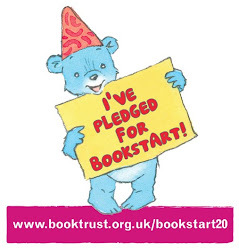 You can join in the fun by linking up below. 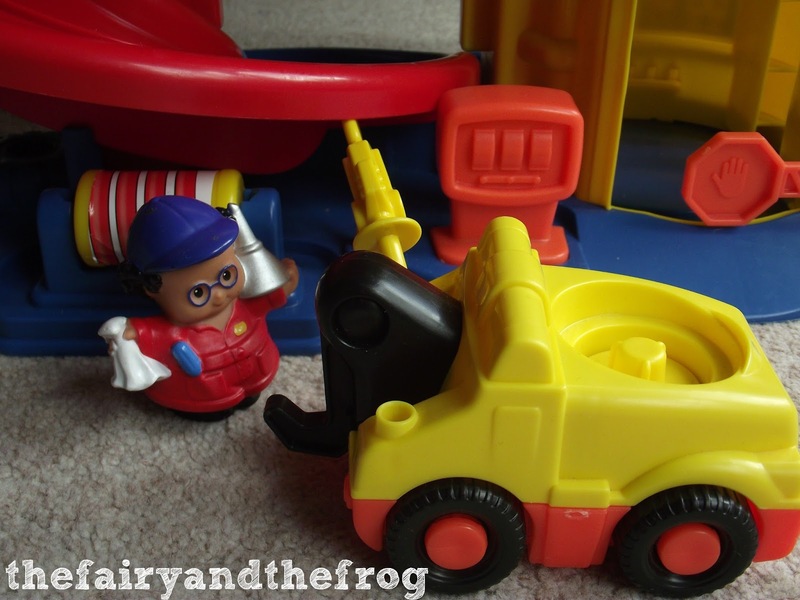 Imaginative play skills are an important part of child development (as well as being fun!) 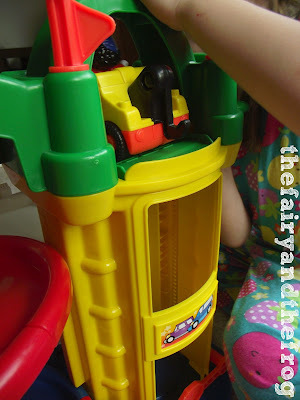 Children learn so much though play and it's great for their language development. 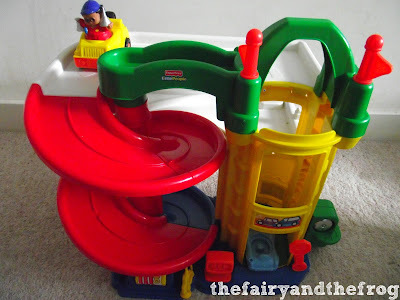 When Fisher Price asked if we could review their 'Little People, Racing Ramps Garage' we were naturally excited. 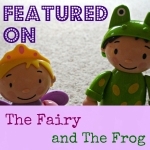 They have revamped their Little People range and we were excited to see what they had come up with. 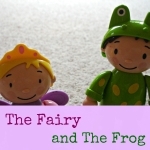 Their 'Little People...Big Discoveries' ethos of encouraging little ones to make 'new discoveries every day that spark little stories and big imaginations' fits in well with how we think here at The Fairy and The Frog. The garage is made from brightly coloured plastic. It takes a bit of assembly when first played with. Once it has been assembled The Frog (aged 21 months) has loved playing with it. In fact it is definitely his current favourite toy. It has a lift to transport cars to the middle and top level and a ramp for them to whizz down. It even has a mini petrol filling station. It comes with a tow truck, car and drivers. The truck makes a noise when a person is sitting in the driving seat. In addition a bell 'tings' as the lift is moving and at the ground floor there is an automatic barrier. I'm not overly keen on noisy toys but The Frog really loves this and the noise adds to play - rather than being there just 'for the sake of it'. Are you on twitter? There is a Fisher Price Little People twitter party happening this Friday (2nd August) 11-12 pm , why not join in an find out more about pretend play, little people and big discoveries. This week in the UK it has been mostly hot, hotter and really hot. So it seemed appropriate that the Monday Parenting Pin it Party top pics should be hot weather activities. 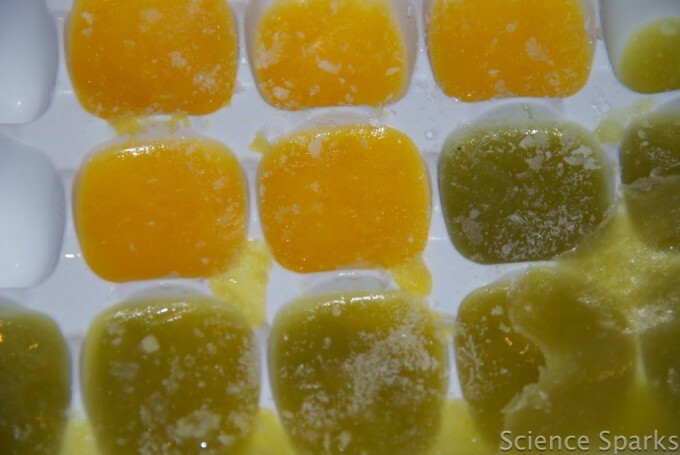 Science Sparks shared fun ways to cool off (and learn) with ice. I love these colourful fruit ices. Regular followers of our blog may know we have an allotment, and if you follow us on Twitter and Instagram you may have even seen some pics taken there. Unsurprisingly, given my allotment habit I think it's really important that my children know how food grows (and take part in growning some). Coombe Mill share our passion and made these delicious looking ice lollies from 'pick your own' raspberries. The must have picked alot because they also share some other raspberry recipes too. 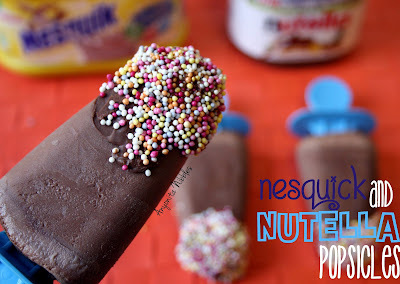 If chocolate is more up your street then this yummy milkshake and Nutella lollies from Anyonita Nibbles also looks great for cooling off. What have you been up to this week? If you blog and have any parenting posts (anything from your thoughts on parenting to kids activities) please link up your ideas below. If you have a Pinterest account it would be great if you’d follow the party board and the hosts and do leave us your id in the comments so we can follow you back. Try and visit at least two other contributors either via the linky or via the board and comment/share/repin the ones you like. Don’t forget to leave your Pinterest ID for them too so we can all find some great new pinners to follow. You can check out all the previous posts here at our Pinterest board too. The parenting pin it party is brought to you by Yellow Days, Romanian Mum, Mummy's Little Stars, Mum of One and Mamasaurus. 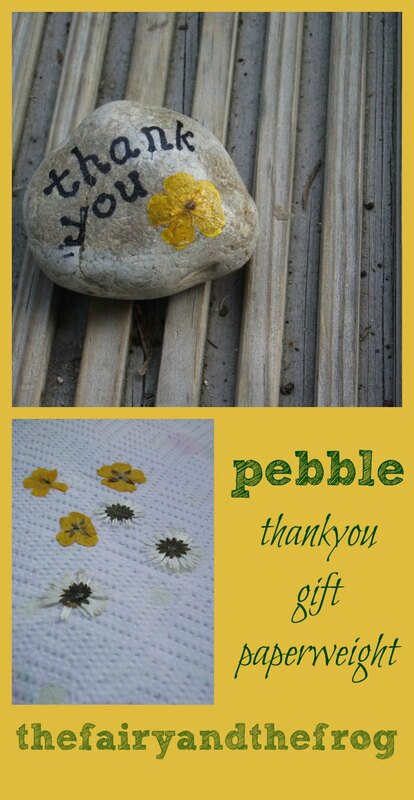 I love making and receiving handmade presents. 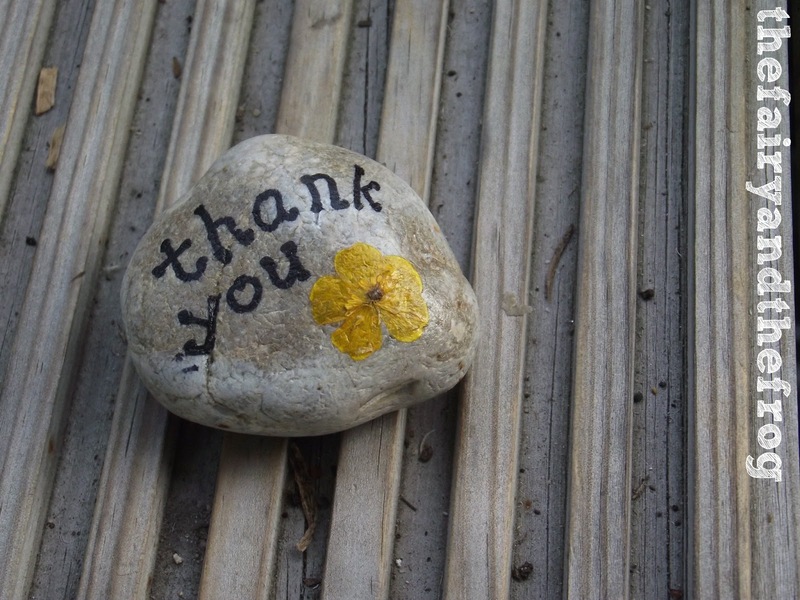 This pressed flower paper weight would make a great thank you present for a teacher at the end of term. 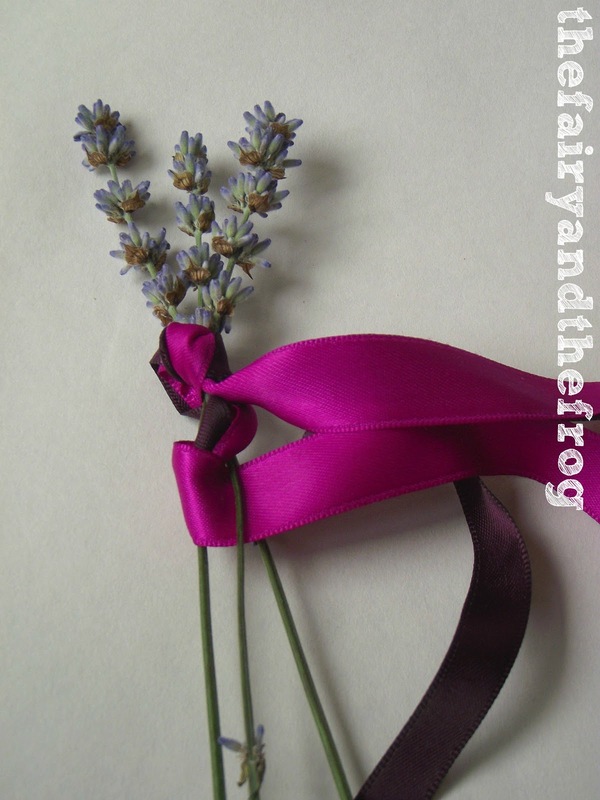 Or you could personalise it to make a great gift for a flower lover for their birthday/ Mothers day/Christmas etc. 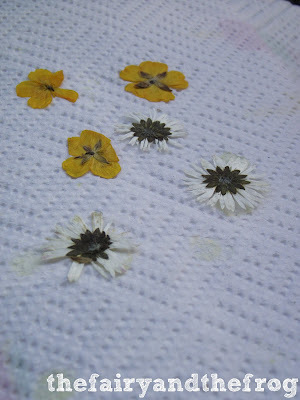 The Fairy loves flowers, so we have been pressing some of the buttercups and daisies that grow on our allotment. I love doing traditional crafts that I remember from my child hood and pressing flowers has mega nostalgia value. But what to do with all those flowers when they are pressed? and stuck on a buttercup (chosen by The Fairy from the selection) using PVA and gave the whole thing a PVA varnish. We talked about this and our lavender fairy wand on Red Ted Art's flower hang out- have you seen it yet? The Mondays Parenting Pin it Party was brought to you by: Romanian Mum, Mummy's Little Stars, Mum of One, Mamasaurus and Yellow Days. We picked some lavender from our allotment. Gathered some other bits from our craft stash. I carefully tied some ribbon around tree stems, then started weaving. This is a tiny bit tricky - practice makes perfect! 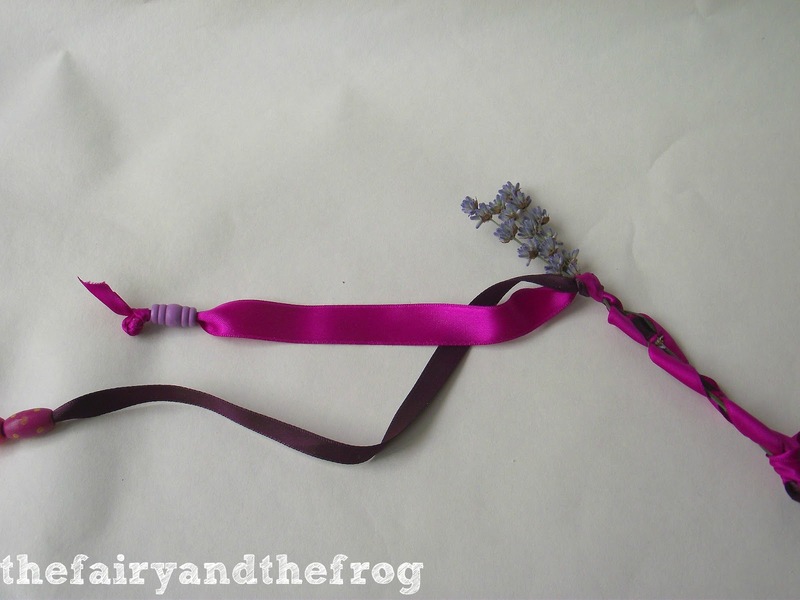 Once I had finished weaving, the Fairy threaded some beads added some beads for added bling (threading is great for fine motor skills). 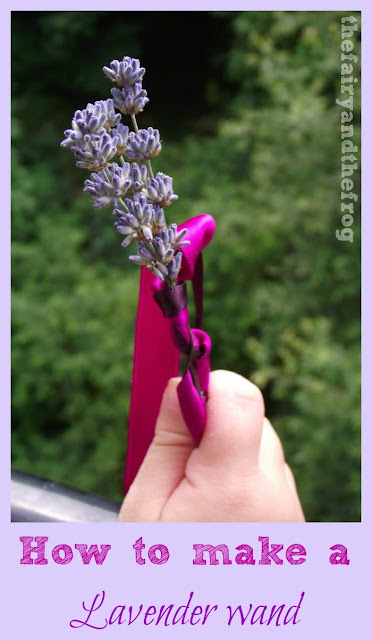 The result was a fragrant pretend play prop (you do have to be careful as the lavender stems could break if played with too roughly). For a more robust wand check out Red Ted Art and Nurture Store's versions. 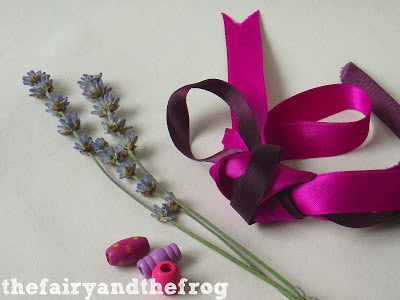 We talked about this craft and others over on Red Ted Arts G+ flower hangout. You can watch it by clicking the link. There were some other lovely crafts show cased on the hang out, including flower crowns, outside art, coasters, thank you cards, scrap book page as well as petal paint. 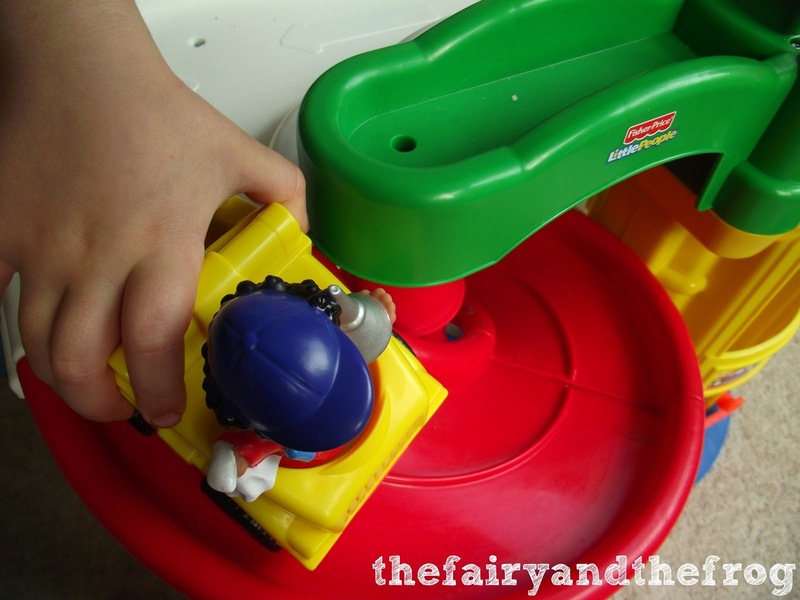 It's Monday again which must mean its time for the fabulous parenting pin it party. This week its Mamasaurus turn to host. We love what she has chosen from last weeks entries. Why not click the link to see what she has picked. The Mondays Parenting Pin it Party was brought to you by: Yellow Days, Romanian Mum, Mummy's Little Stars, Mum of One and Mamasaurus. Not only is today the start of the month and the start of the week it pin it party day. We are back where we started with the lovely Mum of One. Check out her blog for her favourite posts from last week (and all the rules) Don't forget to link up your post blow for a chance to be featured next week.